"There's too many people in the world and not enough food. Now this takes care of both problems at the same time." 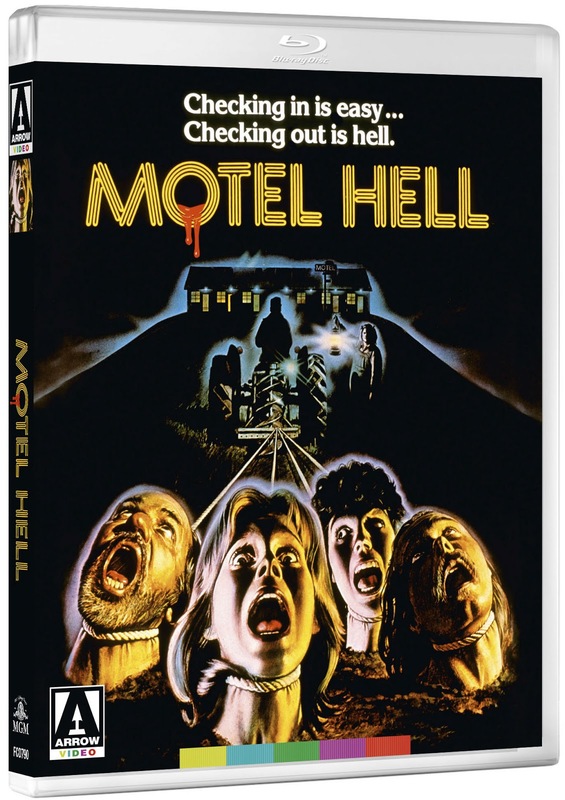 Out this Monday from Arrow Video is the glorious hi-def debut of Kevin Connor's 1980 film Motel Hell. The film originally made it's DVD debut back in 2002 as part of MGM's beloved Midnite Movies line - paired with Alan Ormsby's Deranged (also due out from Arrow in the near future). 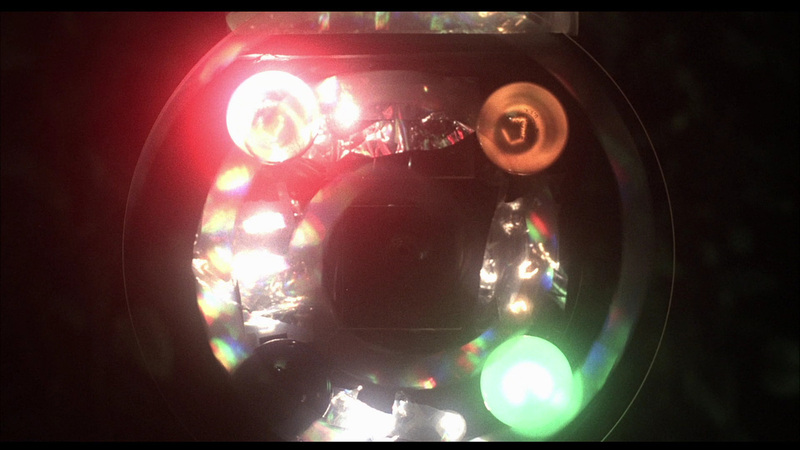 That DVD was perfectly fine for it's time, but Arrow's loaded Blu-ray is a welcome improvement in A/V quality and features a wealth of extra features. 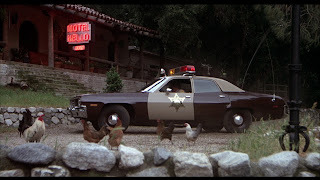 Pretty much the entire film takes place at the Motel Hello, a motel/meat smoking plant run by Vincent Smith and his sister Ida, played by Rory Calhoun and Nancy Parsons (who I literally just now realized was Balbricker in Porky's). Vincent is well known for the unique flavor of his smoked meat, people come from all around to get a taste of his legendary jerky. Vincent's meat of choice? Human. 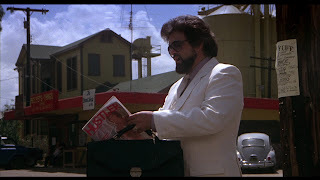 Vincent has come up with a pretty fail-safe plan to keep his supply meeting demand - he heads out to the highway at night, causes car crashes and steals the bodies. 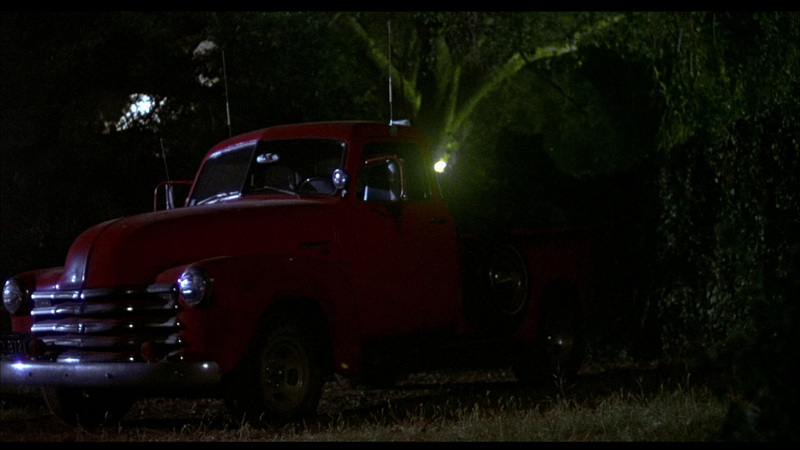 To ensure his nefarious plan isn't discovered by the law he Norman Bates the cars in a nearby lake. 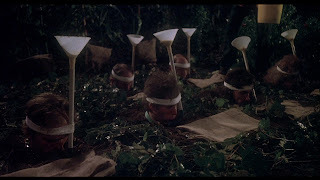 Most of the people actually end up surviving the "accidents" but they end up being buried up to their necks in Vince and Ida's secret garden where they are fed until they're plumped up and prime to be cooked. To make sure the captives don't get too noisy to alert anyone their vocal cords are cut with a scalpel. But while they can't talk they can still make this pretty horrific gargling sound. It's truly creepy sound, up there with that noise Belial Bradley makes when he gets out of his basket. I've dubbed these poor voiceless souls Garglers. 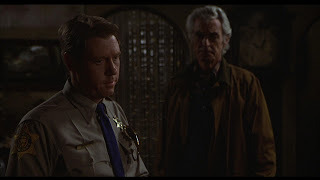 Rounding out the cast are Bruce (perpetual cop Paul Linke, CHiPs, Moving Violation), Vincent's brother and town sheriff, and Terry (Nina Axelrod, Critters 3), a female who survives a motorcycle crash caused by Vincent and winds up living at the Motel Hello. They all sort of become a happy little family together, but once Vince proposes to Terry, a jealous Bruce begins investigating and uncovers 30 years worth of murder and cannibalism. The Motel Hello might be shutting down a lot sooner than anticipated. 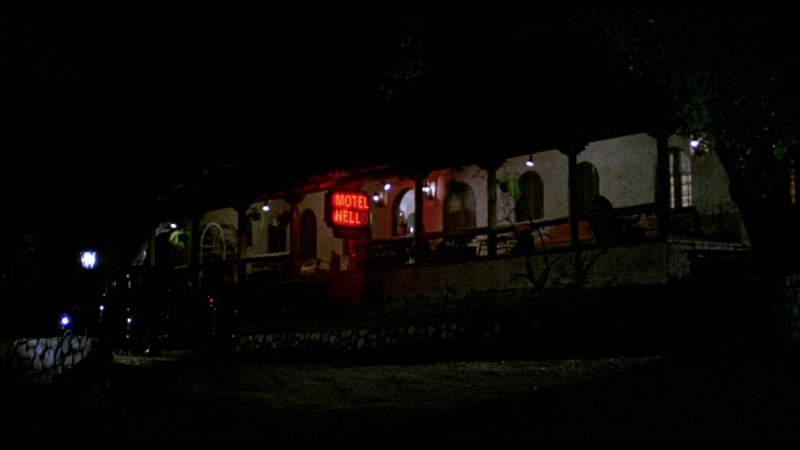 Motel Hell is an enjoyable, though pretty uneven film. 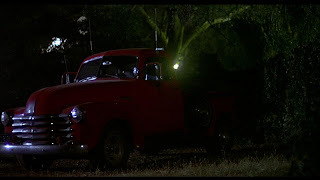 Like a lot of horror films of the era it runs just a bit too long, and while several scenes are great there are just as many that drag. Had it been cut by about 10 minutes it would've been a lot tighter and the film would've been all the better for it. It's just a bit too leisurely paced with too little going on to keep things exciting. The finale is pretty great though; Terry and Bruce's desperate escape attempt, an uprising of the Garglers and Vincent donning a pig head while partaking in the the third best chainsaw fight of all time - bested only by Dennis Hopper v. Leatherface in Chainsaw 2, and Reggie Bannister v. Gasmask dude in Phantasm II. 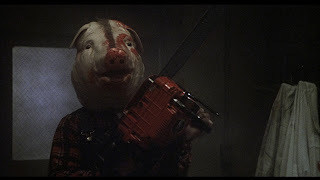 I have to give Vincent points for having the audacity to wear a pig's head during his chainsaw fight, but I also have to take points away because it's probably not a good idea to obstruct your vision by 100% if you're going to fight a guy with a chainsaw. 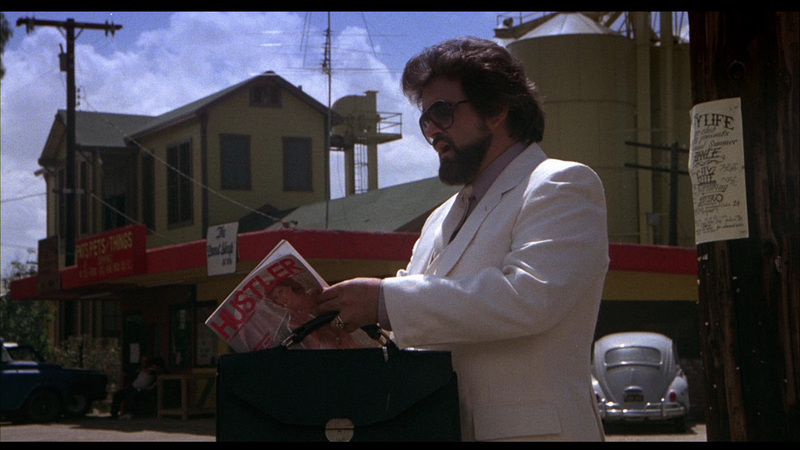 The one thing I always take away from cannibal movies it that we might really be missing out by not eating other people because apparently humans are delicious. 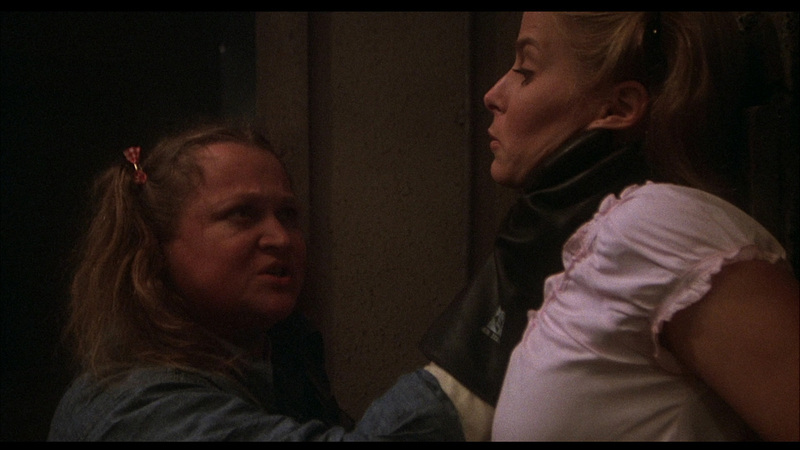 I've never seen someone taste human flesh in a movie and go "eh, not bad". In every cannibalism movie I've ever seen eating human flesh always seems to provoke an insatiable hunger in people and they become obsessed with consuming more and more human flesh. 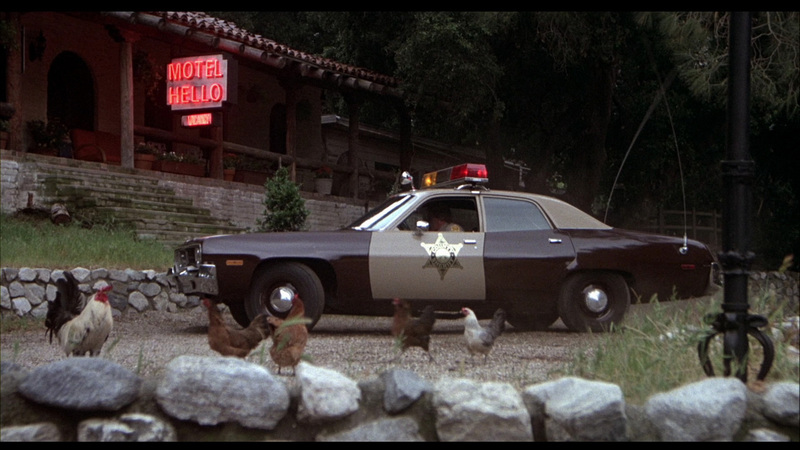 Motel Hell is no different, people chow down on Farmer Vincent's Fritters and they just can't get enough. Some are willing to travel from hundreds of miles away just to buy some of Vinnie's meat. And even when a few people discover that the key ingredient came off of some dude's back they don't really seem that bothered by the fact that they've eaten human meat. That always seems kind of odd to me, but then I've never had the urge to eat someone, so what do I know? There's actually very little gore in the film, so while it's all very macabre it's never really particularly gruesome. 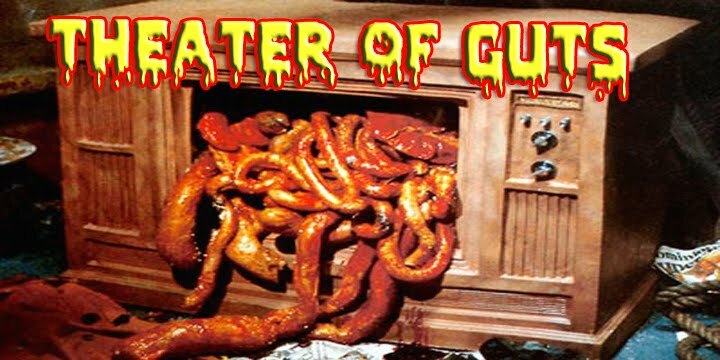 I'm by no means a gorehound - sometimes restraint can really help a film out, but I think this kinda needed a little extra grue to spice things up. We get some severed feet, limbless torsos and most frightening of all: a closeup of Ida eating a chicken leg. Ghastly. Not much beyond that. "You're Eating Out My Heart and Soul"
The audio commentary is great fun, Kevin has a lot of interesting stories about the film's production and Calum is an excellent moderator. The back and forth between these two guys is wonderful, the two almost seem like old friends. 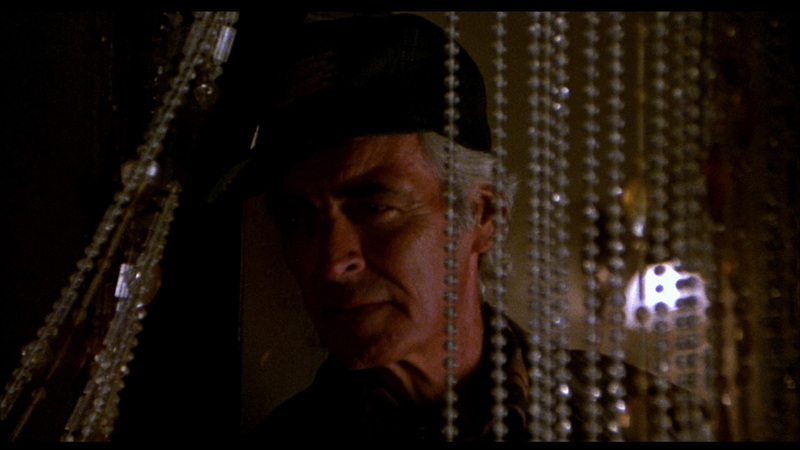 The Paul Linke interview is also great, Paul has a lot of fond memories of making the film. According to him his character Bruce was written to be way more comedic, but kept being toned down more and more as the film went on. 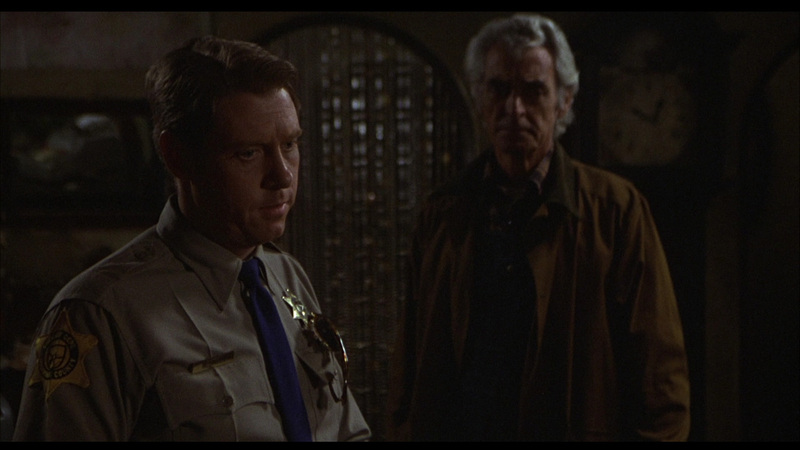 Paul seems a bit disappointed about the constant toning down of the comedy, but I think it helps Motel Hell out, some of the comedy is a bit too broad and you don't want to go too broad with the comedy in a film like this or you end up making 2001 Maniacs: Field of Screams, and nobody wants that. 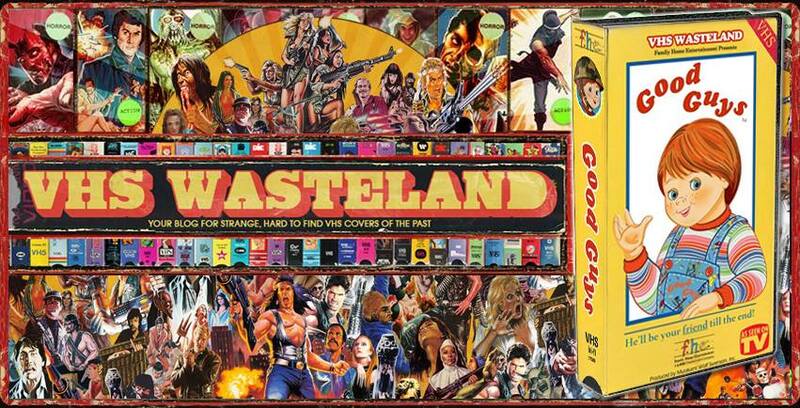 I believe this release marks Arrows change in artwork style from the white bordered covers they've become known for. I think I prefer the older style, but this style is great as well, in time I'm sure I'll get used to it. 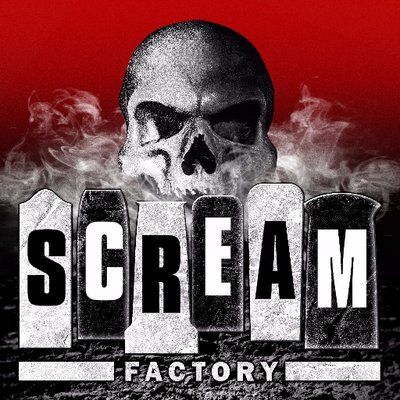 You still get to choose which artwork you display; the newly commissioned artwork or the classic screaming heads poster. 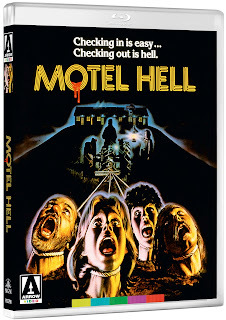 Not quite gruesome enough or funny enough to be a true horror-comedy classic Motel Hell is still well worth a look. If you're already a fan of the film Arrow's release is better than you could possibly have hoped for. Don't hesitate to pick it up. Get it directly from Arrow today, you won't regret it. Would you agree that when Pauline Hickey was 17 in 1985 she was THE most gorgeous bird of all-time ! ?.